Tasmania wants to get into hemp, with vocal backing from numerous councils and MPs. 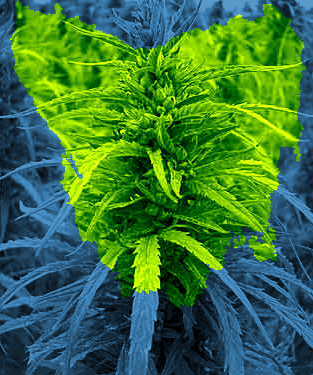 Think South, a group of 12 councils representing about half of Tasmania's population, has added its support for the growing of cannabis to produce medicine. The campaign comes after Tasmanian Health Minister Michael Ferguson rejected a bid to allow trial crops in July, claiming he did not see the benefits. The Health Minister also said he was worried about security risks and the chance of social harm. Some see a medicinal cannabis industry as a potential cure-all for the region's economic ailments. The combined voice of almost half the state could be enough to break his resolve, the group says. Think South CEO, Brenton West, says big urban councils are now backing the position of smaller regions. The Tasmanian Government made a pledged to prioritise the growing of industrial hemp, and an Upper House inquiry will investigate the issue in coming months. It also appears the Health Minister may be coming around. “I think as the Deputy Premier made very clear, we're very satisfied that the Legislative Council are looking at this and we will respond to any findings that it makes,” Mr Ferguson said this week. Meanwhile, Independent Tasmanian MP Andrew Wilkie says he will introduce a motion to federal Parliament to end confusion about the difference between the industrial hemp and medicinal cannabis industries. Wilkie want to fast-track the legalisation of industrial hemp for human consumption, after Food Standards Australia New Zealand declared hemp seeds and oil safe for human consumption in 2011, and unanimous support for the notion was given at a recent Council of Australian Governments (COAG) meeting. He says the debate over medicinal cannabis is obfuscating the push to grow the crop for fibre and food as well.